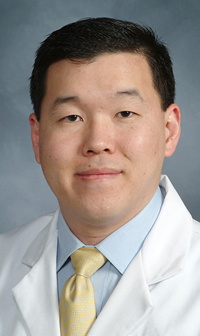 QUEENS, NY (August 17, 2016) — Dr. Benjamin E. Lee has been appointed chief of thoracic surgery at New York-Presbyterian/Queens and joined Weill Cornell Medicine’s faculty as an assistant professor of clinical cardiothoracic surgery, effective July 1. Dr. Lee adds expertise in the diagnosis and treatment of disorders and diseases of the chest, with a focus on benign and malignant tumors of the lungs, esophagus and the mediastinum — the region between the lungs. Dr. Lee and the physicians of the Division of Thoracic Surgery are trained in cutting-edge approaches and the latest minimally-invasive surgical treatments such as video-assisted thoracoscopic surgery (VATS) and robotic thoracic surgery. These new developments in minimally-invasive surgery allow for the individualized care of each patient resulting in less pain, faster recovery and better outcomes. The department specializes in a multitude of malignant and benign conditions such as lung cancer, esophageal cancer, large hiatal hernias, hyperhidrosis and thoracic outlet syndrome. Dr. Lee joins NewYork-Presbyterian/Queens from Valley Health System, a leading health system in New Jersey. At his previous employer, he was noted for his skills in robotic and video assisted thoracic surgery through smaller incisions, called ports, instead of utilizing larger, more traditional chest incisions. This type of surgery reduces the amount of pain experienced by patients, and the duration of time needed for recovery. This complements the current trajectory of Department of Cardiothoracic Surgery at NewYork-Presbyterian/Queens. Benjamin E. Lee, M.D., received his Bachelor of Arts degree in biology and religious studies from Duke University in 1995. He completed his medical degree in 2001 at New York Medical College and his general surgery residency in 2007 at the University of California at Davis Medical Center. From 2004 to 2005, he completed a thoracic surgical research fellowship at Memorial Sloan Kettering Cancer Center in New York City and was awarded a Society of University Surgeons Traveling Fellowship Award in 2006. Following his general surgery residency, he returned to the east coast to complete a cardiothoracic surgery fellowship at NewYork-Presbyterian/Weill Cornell Medical Center in 2009. He joined The Valley Hospital’s medical staff in 2009 prior to his current appointment.